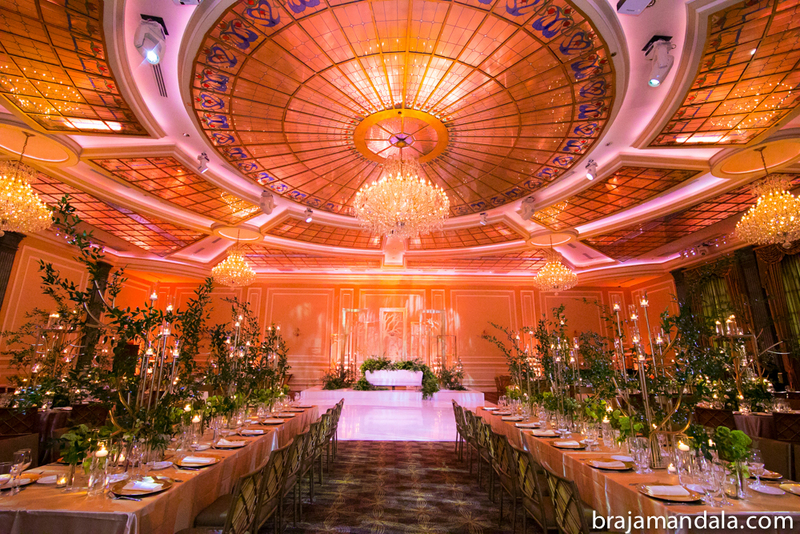 It is quite easy to create spectacular designs when you have somewhere like the Taglyan as the venue, and this wedding was no exception. I am so happy to say that I was a part of the team that brought this forest design to life for Kashvi & Jay’s special day. The bride told our lead designer Nicole that she wanted to make it feel like they were in their own private forest, and wow, we delivered! Seriously, the Taglyan has so many photo ops! Congratulations Kashvi & Jay! We loved being included on your wedding day!